getback wrote: Mauricio your engine runs like a little Buzz saw !! ohh friend, how I enjoy that engine ... after so much work, find this result, it made me see that all that effort was worth it! Tee Bee wrote: Thanks, getback. 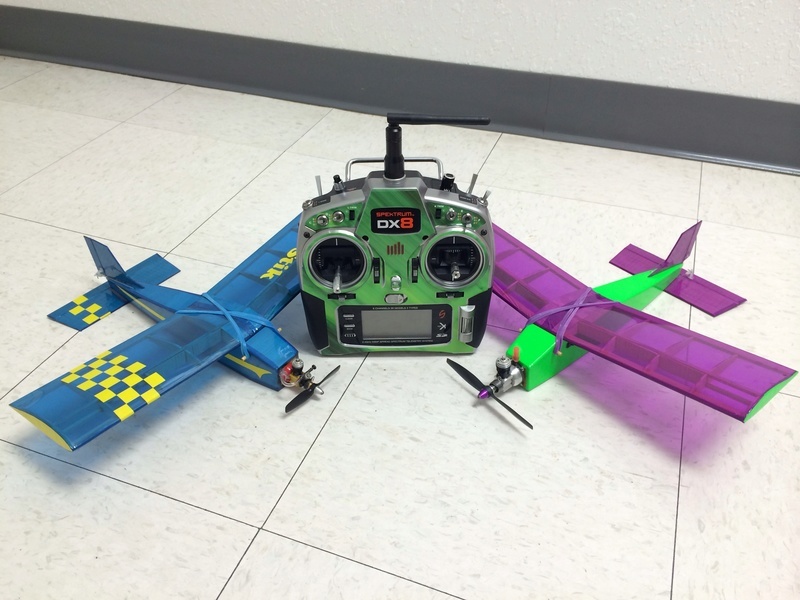 The airframes are assembled. Radio guts installation is next. VERY NICE Troy !! I would love to see the installed radio equip. when you get to it . Tee Bee wrote: The airframes are assembled. Radio guts installation is next. beautiful models friend !! ... congratulations! Thanks guys! I think they are going to be a lot of fun. Getback, I want to see it all in there, too. I'll post more pics as I go. I'm most concerned about the Pee Wee version balancing. 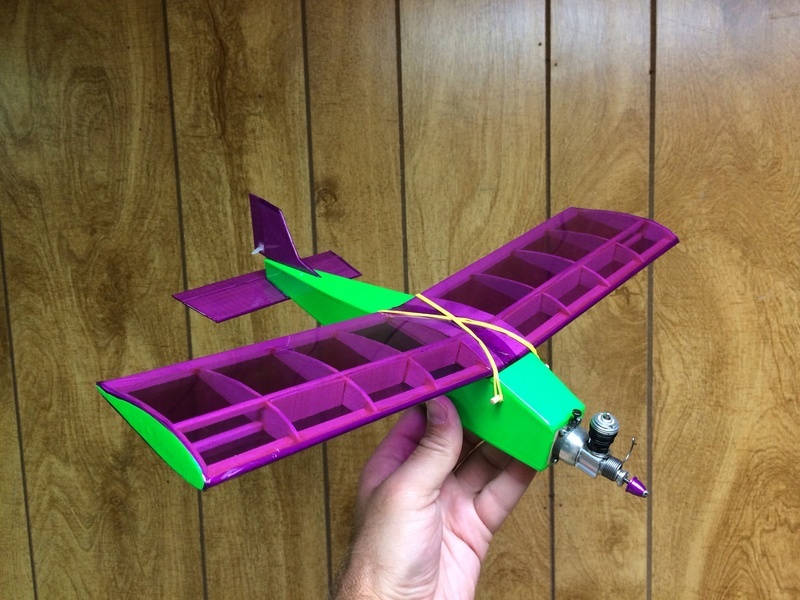 I think the .010 plane is going to balance without much, if any, ballast needed. The heavier .020 setup carries a lot more weight on the nose. It will be interesting to see how it balances out with everything crammed in the limited space. It has been a long time coming, but the Tee Stiks are finished! The radio/equipment installations varied a bit from one plane to another due to differences in the engine weight. 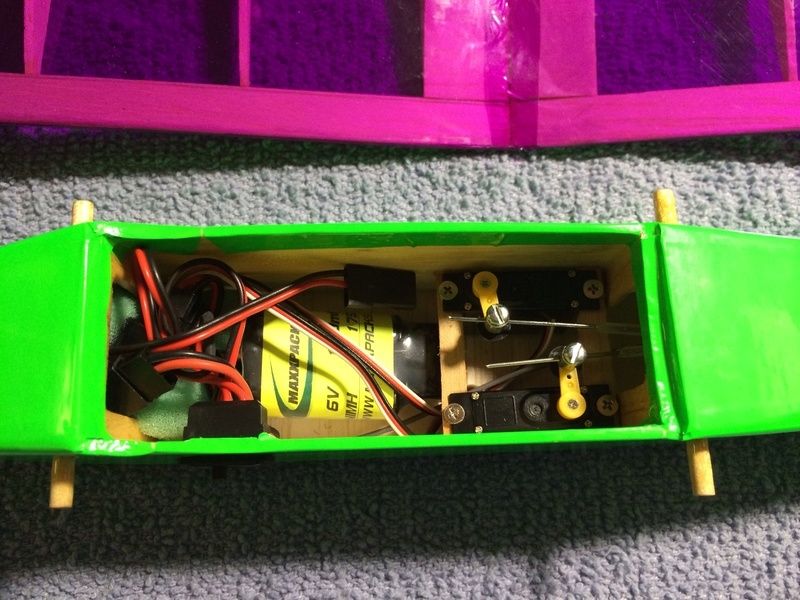 The .020 was heavier, so the battery was mounted further aft. The lighter .010 required the battery all the way forward under the tank. A small amount of ballast was also added just behind the firewall on that one. It all just barely fit. Engines will be tested next, as I've never ran either one of these units. That's typical of me to build airplanes around engines that are unproven. Brings good luck. 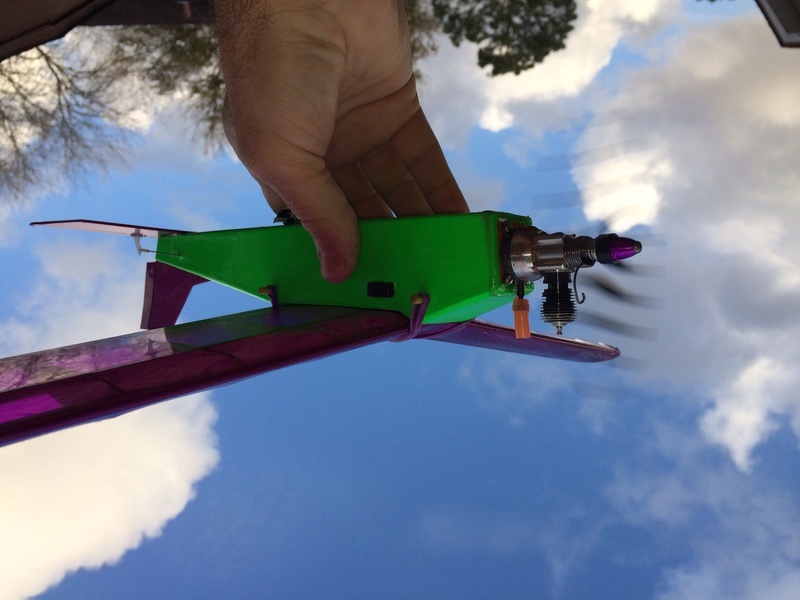 Your brave to be flying such little wonders on rudder only, windy weather in TX. You seem to have no trouble going in the morning time when the winds are down. I do too on weekends if I know the winds will be bad by 9:30am. Well done Troy, they turned out bright and cheerful should help to spot them in the sky. The .020 should have some good zip. 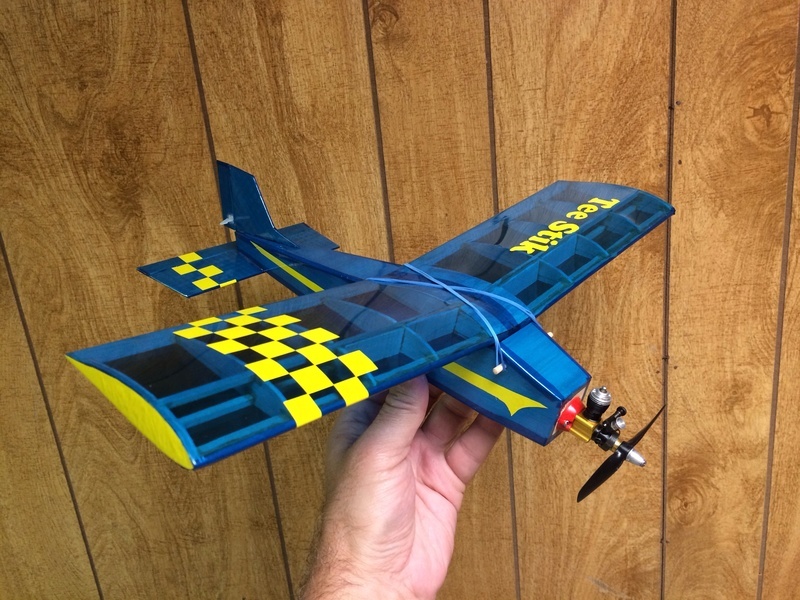 I have not built a rudder bug since for my son's Eindecker scratch built job back in 2001. For him I used a 500 brushed motor on 6 cells as I was in a elect. phase at that time. Thanks Brad! Not rudder only, though. They are full house with elevator as well. 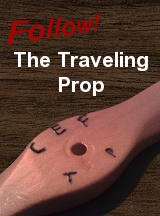 I have quite a few rud/elev planes and don't find them very problematic on most days. Here on the coast, dawn flying is indeed the best. I have a feeling that these little guys will be super touchy when the rudder is moved! What could possibly go wrong? My next build will be an Eric Clutton-designed Sharkface. 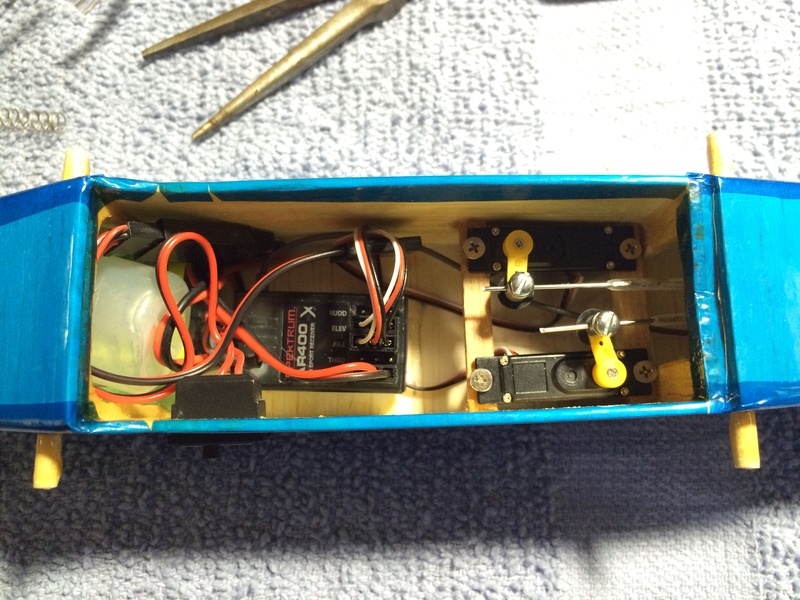 Originally a rudder-only 1/2A design from the 60s, mine will have a tanked .049 reedie with rud/elev control. 22" span. Woohoo! Nice lil planes Troy congrats. 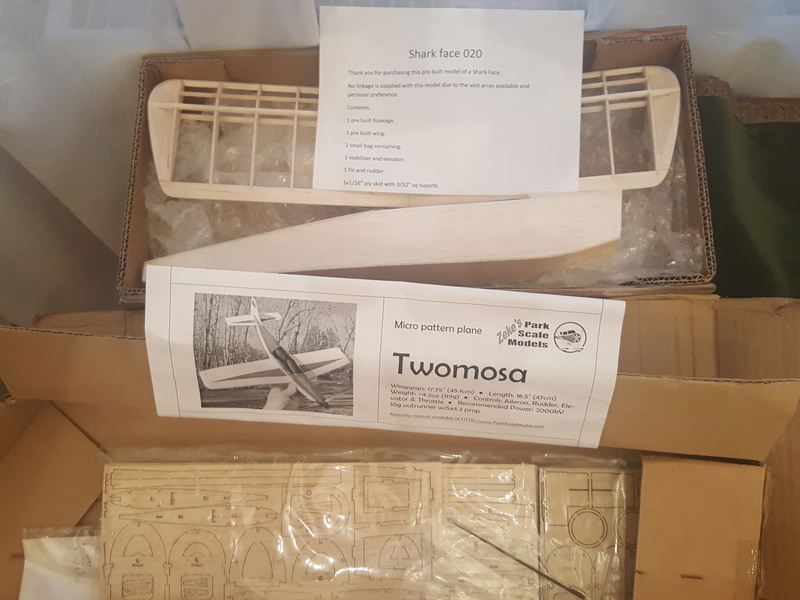 I also built a few 2-channel birds and found the ones with smaller span are really sensitive to rudder...no surprise...I still have a Sharkface and a Twomosa waiting for me to build them. Thanks balogh! 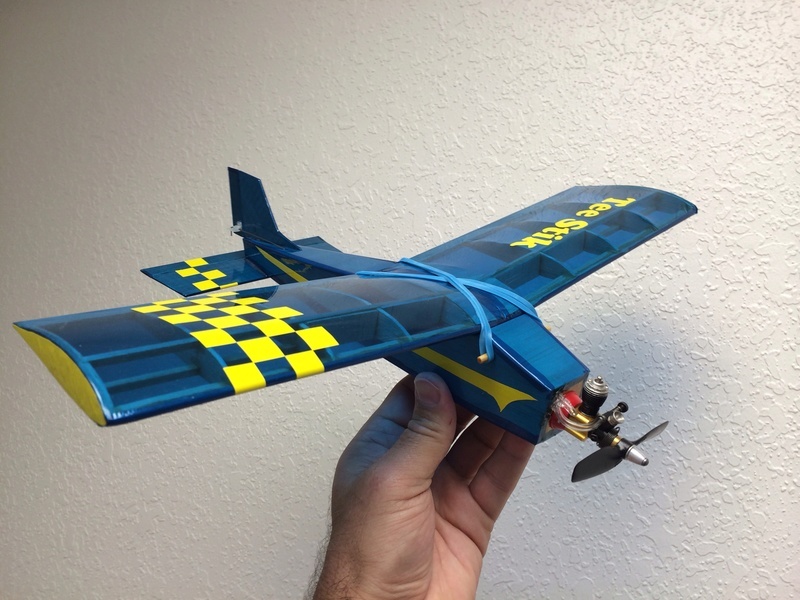 I plan to build the Sharkface with the original downthrust and incidence and fly it with some others next year at the SMALL Fly-In. We're using tanked reedie .049s on them. 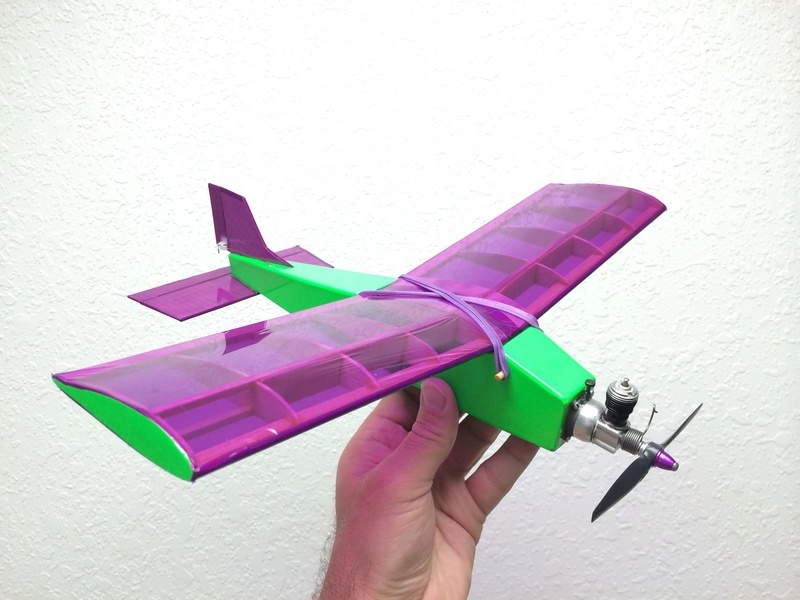 I also plan to build a modded one with ailerons, zero dihedral, zero incidence, and zero downthrust and power it with a hot reedie .049 with a 1oz tank for longer runs than the stock 8cc Cox tanks. With those mods it can't really be called a Sharkface any longer. With everything lined up straight on it, I think I'll call it a Straightface. Here's a pic of my Two Mosa project I started a few years ago. Lost interest in it along the way with too many other distractions. The airplanes got the gear i see , man that's a small space to get it all in there ! If they fly as good as they look should bee a lot of FUN!! Good Job Troy gets a Greenie ! Switch holds down the elevator servo / 80mah battery. 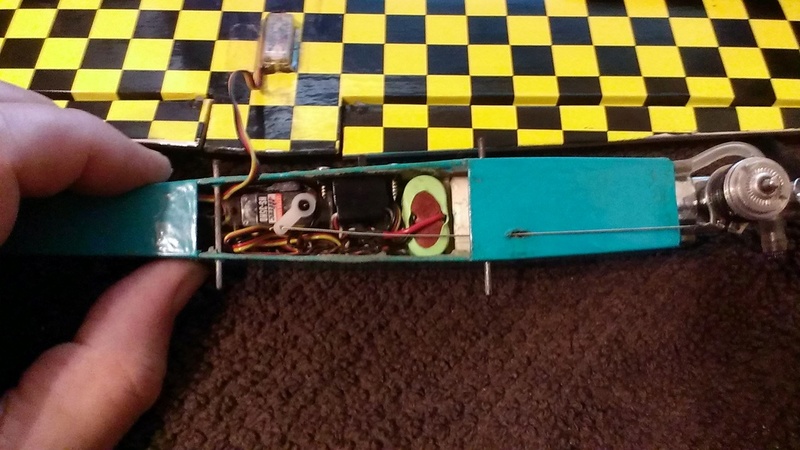 Using Hitec Ultra Nano carbon gear servos. Orange RX R410x receiver in the rear. Just enough space for the wire bundle max fill no room left. Max fuselage width 24mm /.94"
Benched last weekend ready to vid it, waiting on a sunny day. Better hold on tight, Brad! I hope none of my planes ever accidently go that fast for their size. Hah you might like the rush.. I went through both of these engines earlier this year. 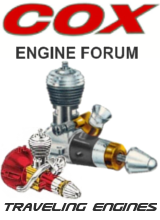 Lots of new parts were used including gaskets, fuel lines, o-rings, etc. The TD .010 was given to me in rough shape by a friend several years back. It cleaned up well and after all the downtime, she started easily and I had her singing that beautiful .010 song in just a few minutes! It's a beautiful thing. The Pee Wee was another matter. I spent the entire afternoon tinkering with it. 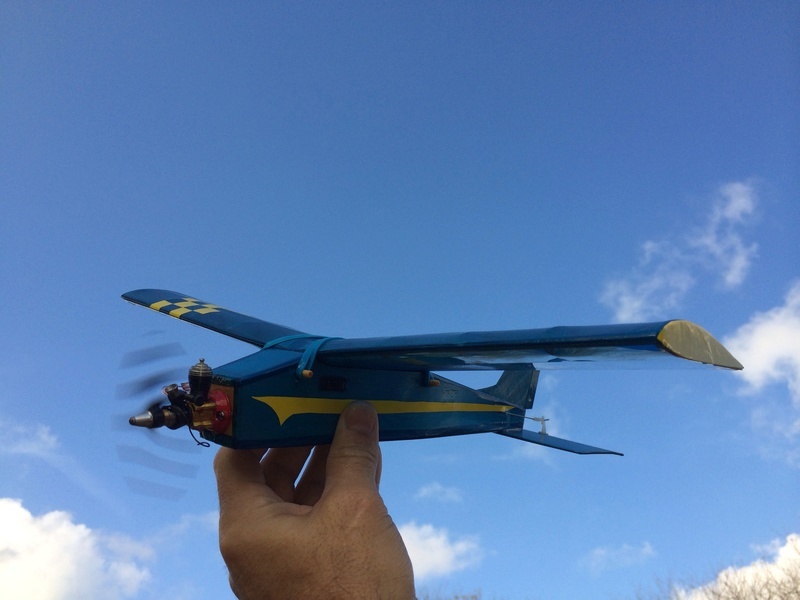 I've never had much luck running Pee Wees consistently well so have never flown them on my models, instead using engines which perform concistently better. This one kept that tradition alive. Had a difficult time getting it started. When it finally ran, the runs were short. Longest run today was 40 seconds. Appeared to have an air leak. 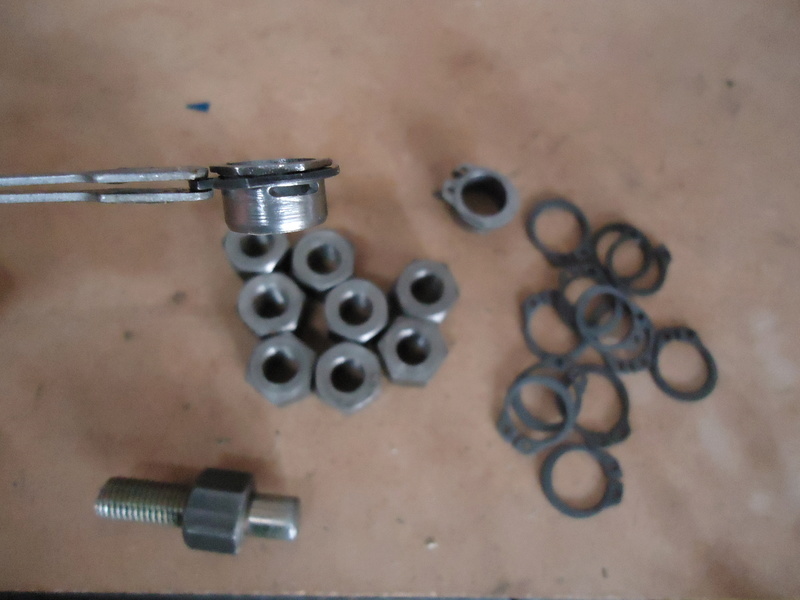 Keep in mind that I've replaced everything inside such as o-rings, gaskets, lines. I took it apart and tried another o-ring with the same results. Stacked 2 o-rings together with the same results. Seems to run fine for the first half of the tank but then quits suddenly 40 seconds in. Darkness shut down my efforts. I'm thinking about trying to seal the venturi o-ring connection with some silicone next time. After all the effort to build this thing, 30 second flights are just not worth it. 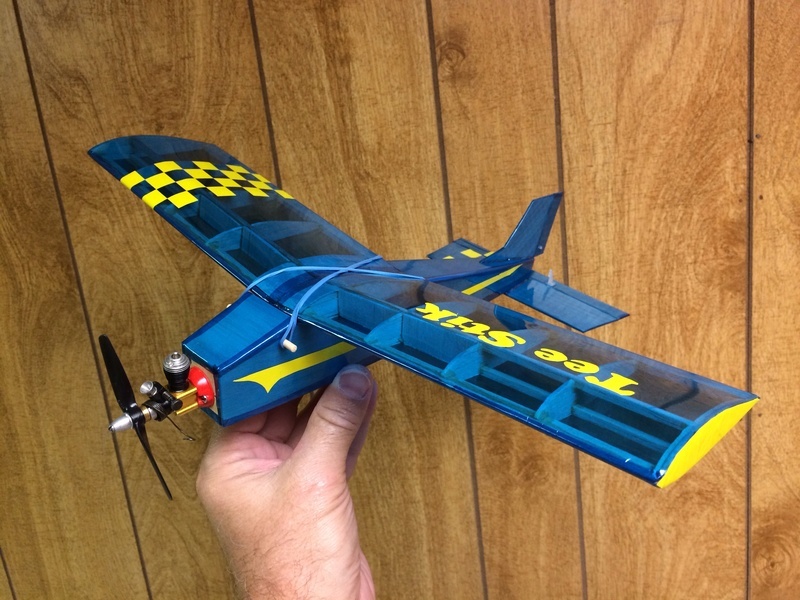 I was reminded why I've never built planes for Pee Wee .020s but I will endeavor to persevere. When My time off work and the weather cooperates, the blue Tee Stik is ready to fly. 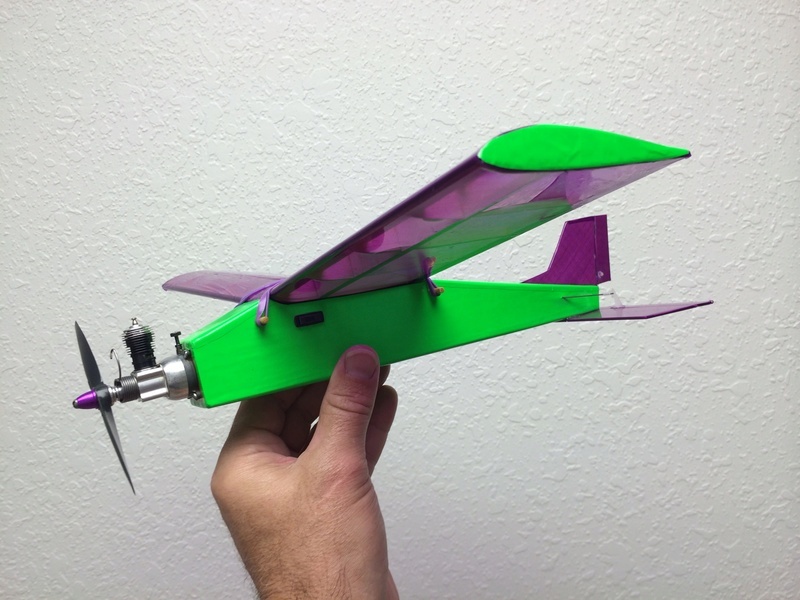 Oh, and when that .020 ran well, it was making WAY more power than this plane needs! It's going to be quite a ride. seal. As you open up the NV to let fuel in it gets loose the spring does not save it from leaking. 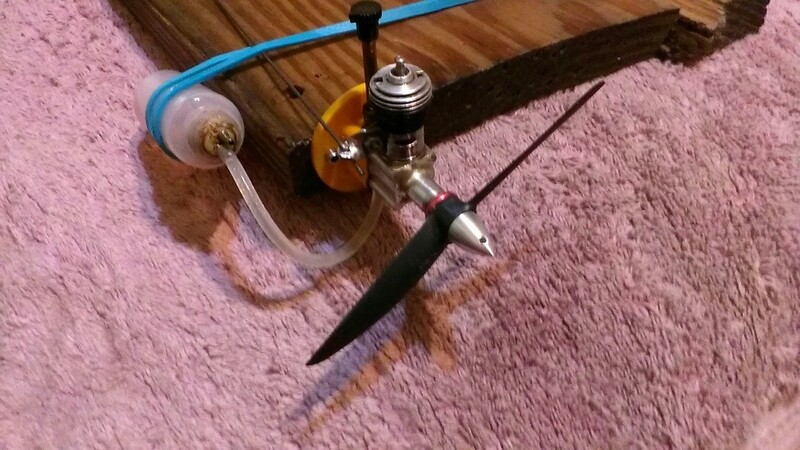 It's not pretty but it works..
Yeah, I was thinking about wrapping the needle threads with a sliver of teflon tape a d using the fuel tubing trick but it has to sit flush with the tank to seal. 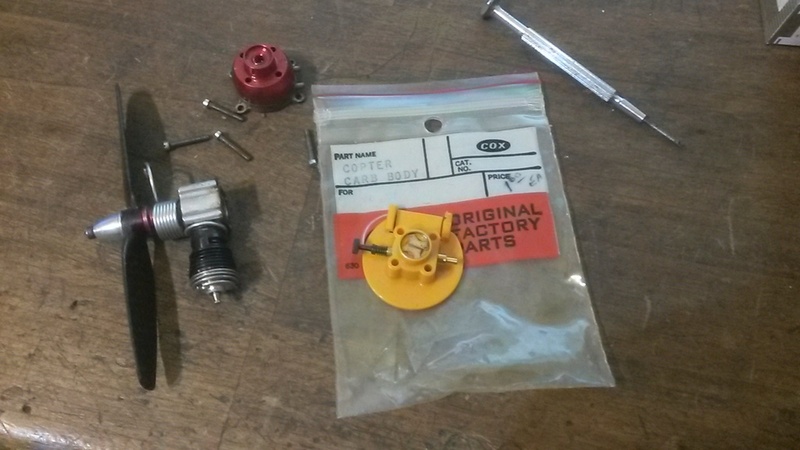 Anytime you adjust the valve, you would lose the seal once again, it seems. There is also the issue of the 39 second runs, which makes me still think it's sucking air when the tank is less than half full. Need to work on it for the umpteenth time. To date, Pee Wees are NOT my favorite engines. 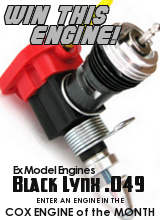 The trick is to cut the fuel line long enough to maintain pressure on the back plate. 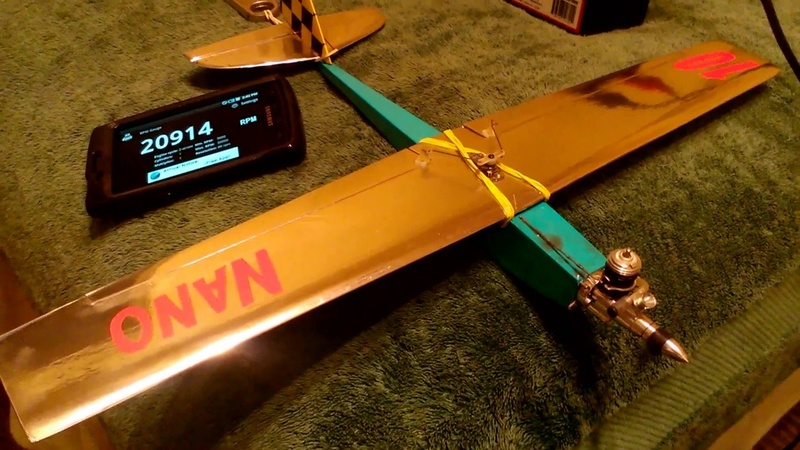 Another trick is to use a smaller prop higher rpm equals better fuel / air draw. 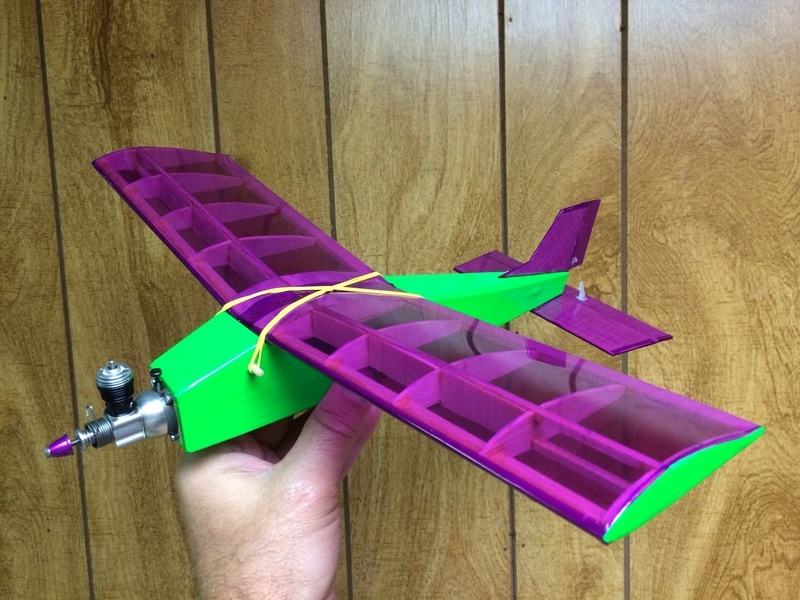 swap out all that rear weight and use a nylon fuel tank inside the fuselage. The closest thing out there was the heli orange back plate which works great. Rumor is that they made a few .020-sized Surestarts with backplates but I've never seen one. I'll tinker with it later and see what I can do. Thanks. The Pee Wee is the engine of Cox until the moment that cost me the most to make it work evenly. 1) Place had neoprene on the needle. 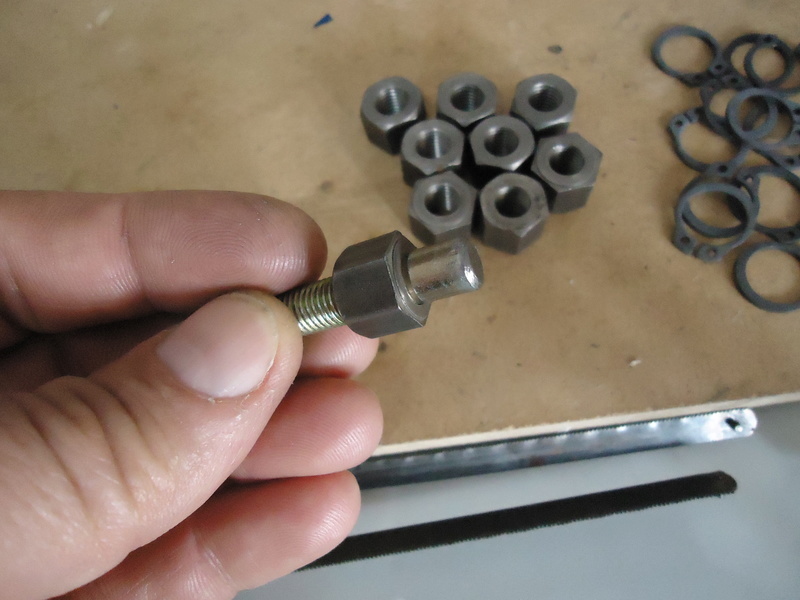 2) Change the G ring, testing in larger and smaller diameter. 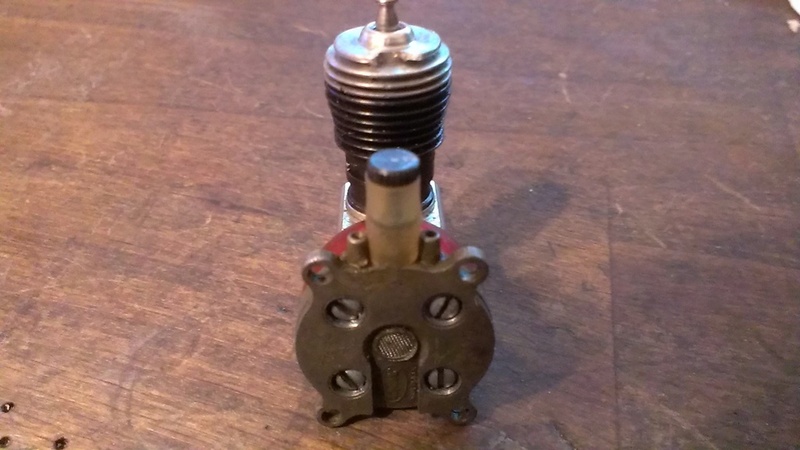 3) Replace the flaper valve, if it was copper with a nylon valve and biseverse. 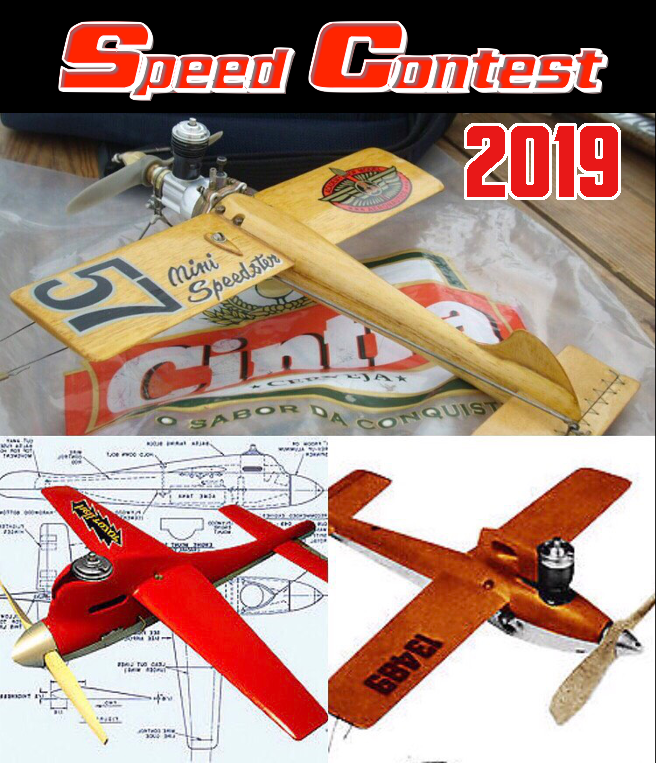 4) If you use a 4 1/2 x 2 propeller, remove the starter spring, the high rpm causes the spring to vibrate and modifies the state of the flaper valve. 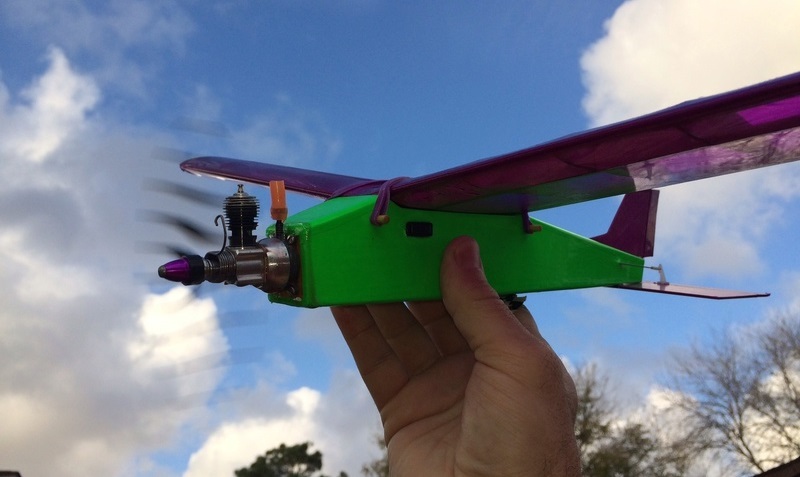 5) Place a larger propeller, the 5 x 3 of the .049 makes it more stable. I have a very personal opinion about the Pee Wee, based on my experience, especially when using the throttle ring. I like it, just that it has many variables to experience. Tee Stik #1 is a Flyer! Today is my last day off work for a while(I work a lot during holidays.) so I thought I'd make the most of it. I was going to do some more test runs and such with the Pee Wee but just didn't feel like fighting it this morning. 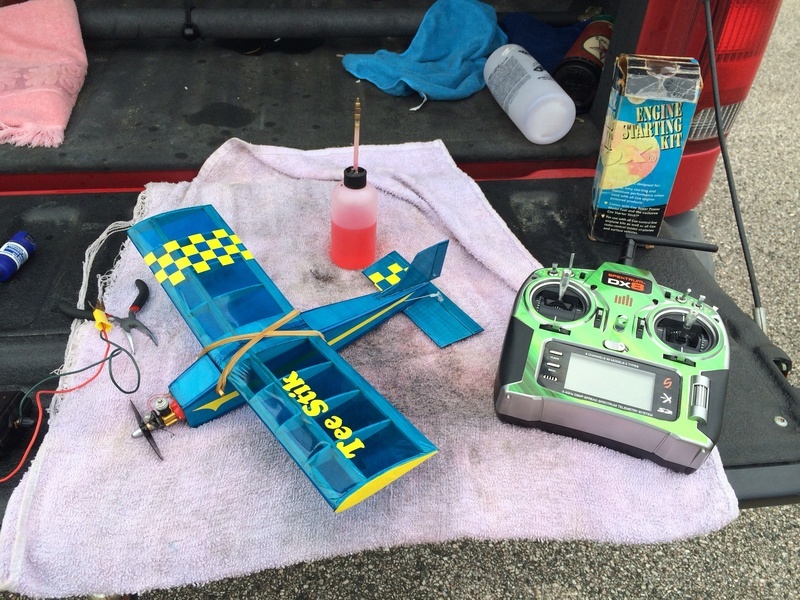 Since the little .010 was running solid, I decided to load up and head over to an old junior high practice football field to attempt aviation. Murphy soon took over. The .010 that started so readily at home refused to come to life without a fight. I probably spent 15 minutes trying to get her going but she finally caved and saw things my way. With the needle sorted in the thick humid air, I tossed it free with a solid push. The next minute or so wasn't very boring! I struggled to keep it in the air as it performed gyroscopic shenanigans of the sort that I've never even seen at the Joe Nall 3D flightline. Mini heart attacks and numerous snaprolls all over the place but I kept it in the air and nursed it up high enough to start trimming it out. Once I had her flying straight, she was a real blast! Flies very much like her big sister, LaStick, but quicker handling and a little more touchy. 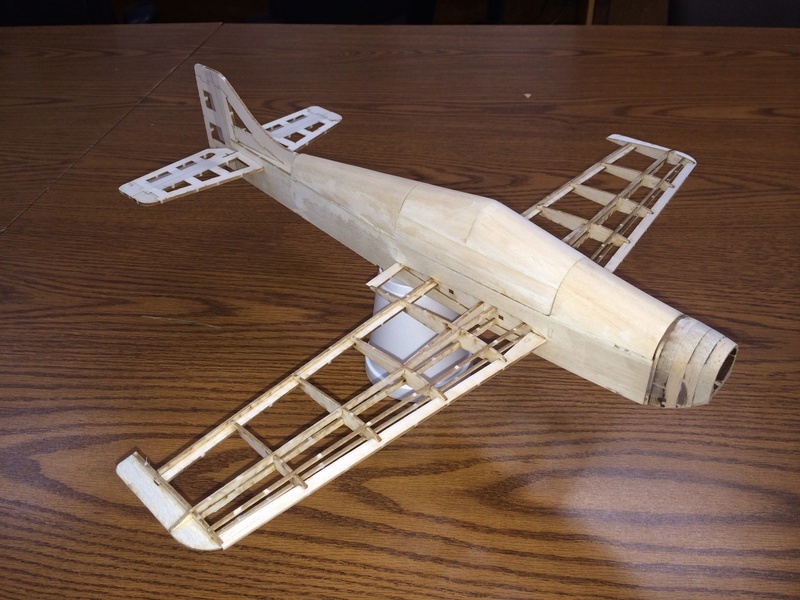 Basic loops and sloppy rudder rolls were tried in both directions. 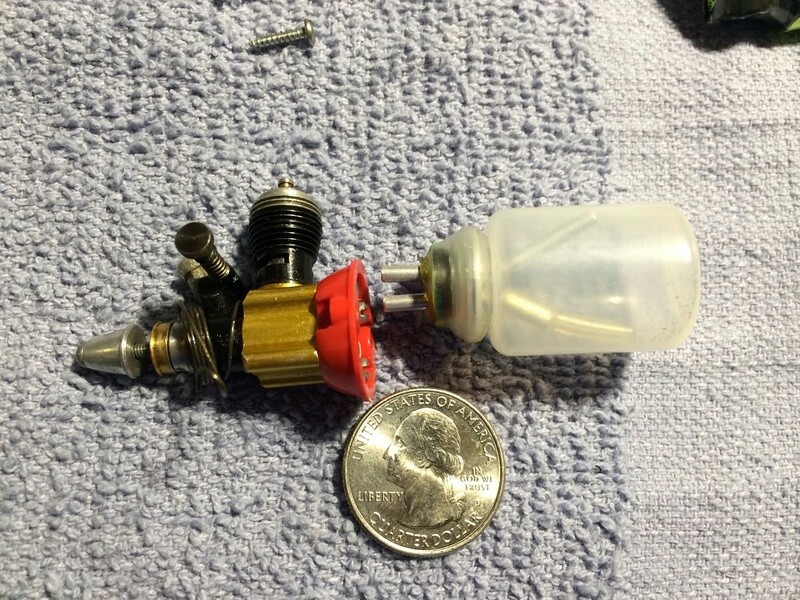 The 1/2A Nut-built 10ml tank kept the .010 running about 5 minutes total though I didn't actually time it. When she quit running, the glide was very brief into a 5mph wind. The light weight loses out and you just have to point her down hard to keep it flying. 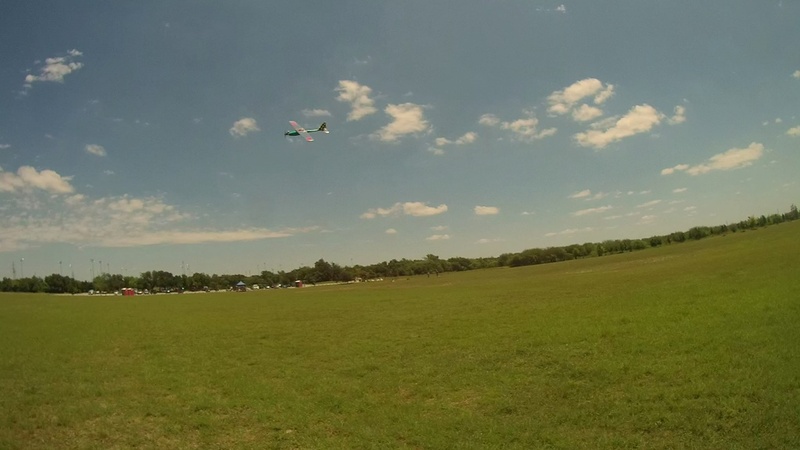 After dialing in some more rudder expo, the 2nd flight went great! Instead of all the trimming and struggling, I was able to enjoy the entire flight in a smooth, controlled manner. Loops, rolls, steep tight turns, low passes. 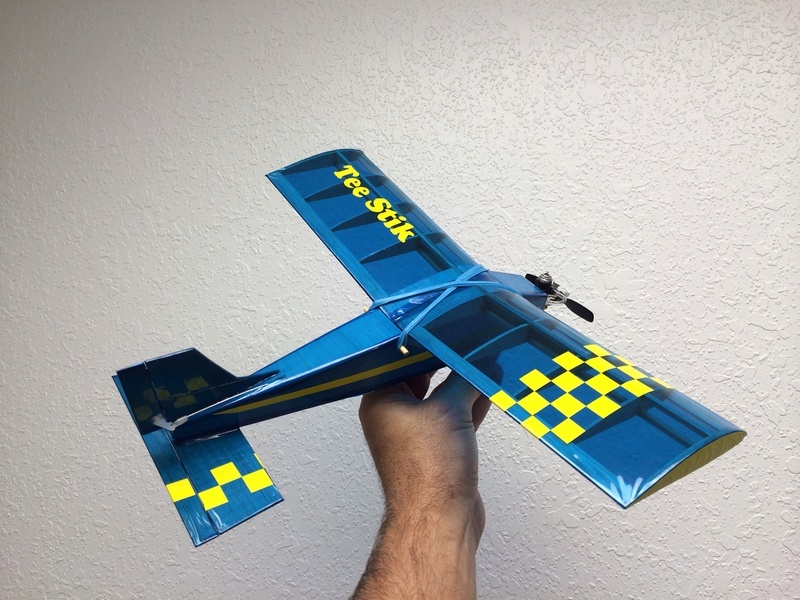 She's pretty fast and agile, very fun to fly! The .010 is a perfect match for it. When I fly the .020 version, I'll definitely have someone else launch it so I can be ready on the sticks. 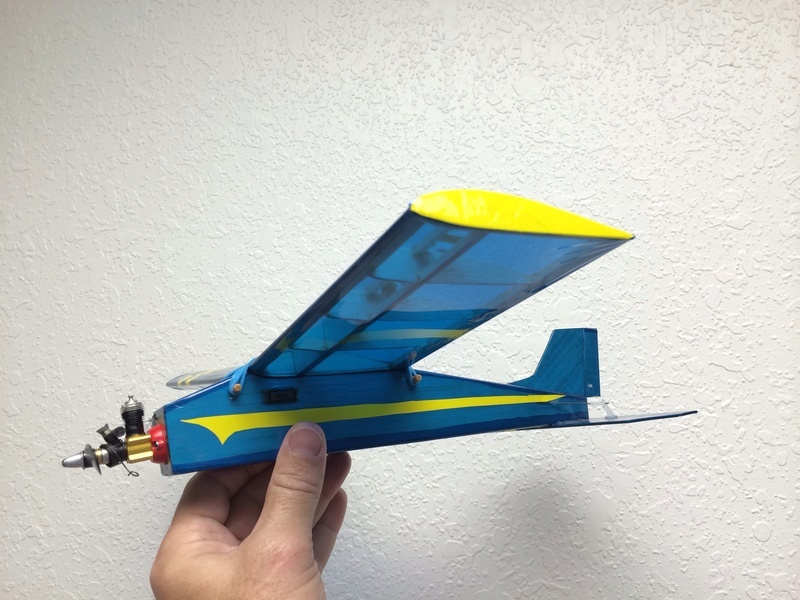 With the 2 planes running in your hand, the .020 pulls a LOT harder. That is going to be a crazy trimout flight! With all the success of the morning, I think it's time to go drink some coffee and think about it. What a great hobby! Hello friend, good thing you took the time to make some flights! ... Yes there are times that a motor is infatuated, but a bit of pampering and walking out !! 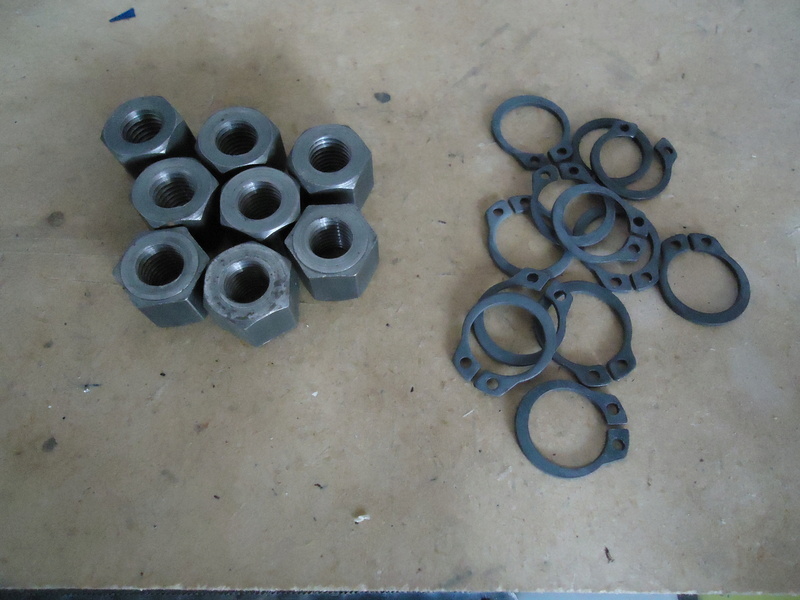 While you were flying, I went to buy some nuts and seger rings, I'm making regulation rings for .020, I do them by hand and they work very well, although each one takes almost 3 hours, because I do everything in the drill. bank, since I have no lathe ... but they go out and work very well. 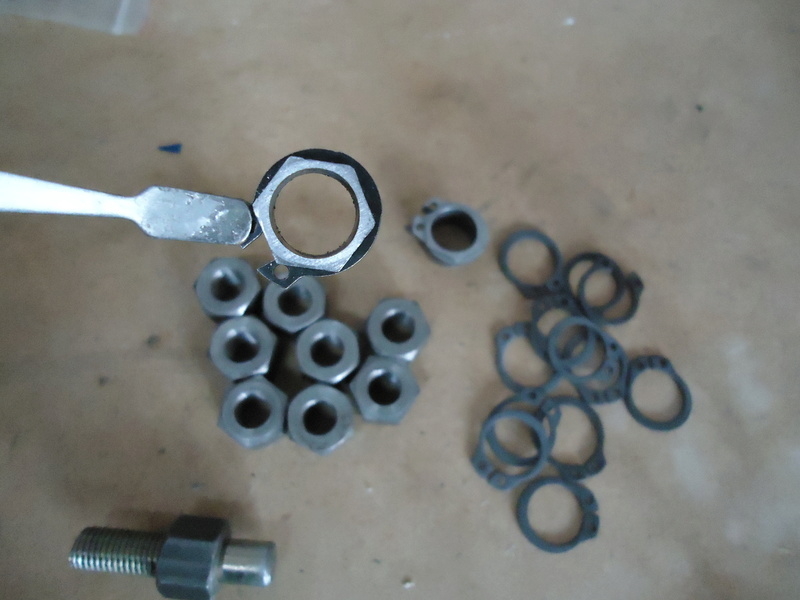 The finest work is the setting of the ring with the cylinder, but I must wait for that to arrive the cylinders, so I do them correctly and without games! ... a hug!